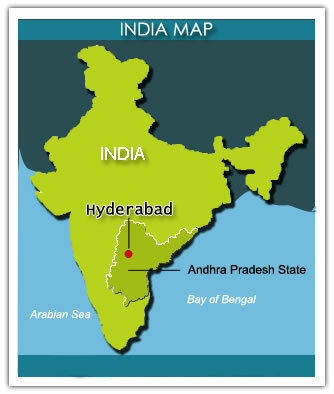 Invited student participants should plan to arrive on Friday, November 19th, 2010 in Hyderabad - Andhra Predesh - India at the Aalankrita hotel. Housing and meals will be provided at no charge by the conference. Program activities will begin on Saturday, November 20th 2010, and conclude by noon on Saturday, November 27th 2010. All participants are expected to attend for the entire meeting. Invited Indian students will receive financial help to arrive from their home residence to Hyderabad and return by train in 3rd A/C or 2nd sleeper. The transfer from the station to the Aalankrita Hotel will be done by organized transportation. The train ticket fare will be reimbursed during the conference week. All the travel expenses must be demonstrated by the original receipts. SHAMSHABAD AIRPORT - Rajiv Gandhi International Airport (HYD). Aalankrita Resort is situated 60 kms north of the airport (aprox. 2 hours by taxi). The transfers from the airport to the hotel will be done by organized transportation; a Cortona-India 2010 Conference facilitator will be at the airport to help the participants at their arrival. The transfers from the train stations to the hotel will be done by organized transportation. In order to help the participants at their arrival, a conference facilitator will hold a placard of the Cortona-India 2010 Conference at the new (Bhoiguda) exit of Secunderabad Station, and at the main exit of Nampally and Kachiguda Stations.